@edgarjessop12 - I have the MRA sport screen on my GT - and no I didn't install the edge piping. I fought with it for over an hour and then said screw it. It looks fine without it. I contacted MRA in Germany and they told me to glue it on. No thanks...can only imagine what kind of mess that could potentially make. I am still waiting 4 weeks later......... Fitted it and all is well, just glad I am not the only one that gave up with the piping. Getting that 600 miles up to change the oil. 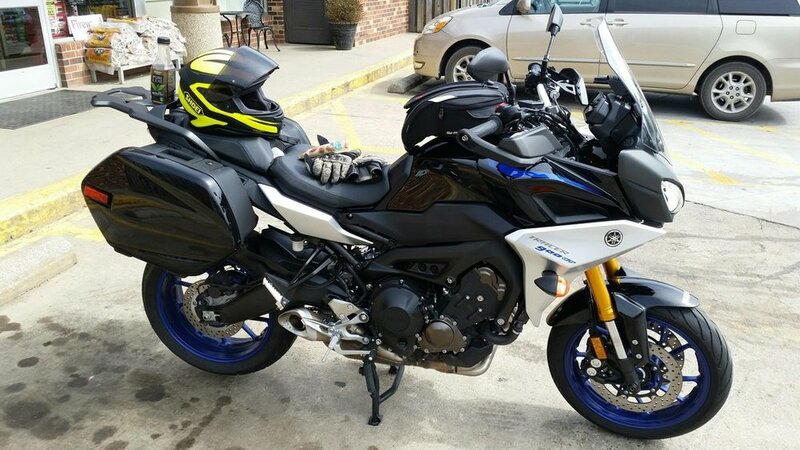 Got it up to 1000 miles over the weekend with some great weather in northern Virginia USA. Is this Black screen an M.R.A. screen ? and if so did you fit any push on piping round the screen. OMG, i'm in love! I love that red and blue tandem! Looking from the pics in this thread, my hungry eyes felt satisfied. My plan to purchase one is getting stronger!!! Gotta find a great deal soon!! !